Someone might argue that Garmin Striker 4 Bbuilt-in GPS Fish Finder is not the best for ice fishing, but I cannot find a better in the hundred bucks range. Normally thinking human knows that meaning “the best “is a very subjective concept. For me, this Garmin device is the best of the established requirements I found on the net. I like fishing and ice fishing is one of my favorite. Not to be said that I am crazy about sitting in the cold but in certain conditions, ice fishing can be a great pleasure. This winter in my location, Latvia, is coming very late, and ice on the rivers and lakes is not yet safe. The weather forecast is promising, and I am about to make the first winter fishing trip to our neighboring northern Estonia on the lake Peipus where officials have set the strict regulations about safe ice fishing. Now it’s allowed. I’ve been doing it for ten years, and I like it. Not every time you catch a lot of fish, but the fish are there, and you should find them. Mostly it is a perch, roach, pike, and burbot. The main problem or luck is to find the good fishing spot. You have to drill dozens of holes to find the edge of hollow or underwater rocks where usually fish are feeding. Then try different fishing gear and bait. Nothing unusual or strange but it the 21st century and there are tons of electronics out there to ease this job. The first one I use for three or four years is Marine Charts on my iPhone. It is really helpful but just to find very approximate depth or to mark already found good spots. I have noticed before in my posts that phone apps are great but that smartphone itself, iPhone in particular, hardly can be used in the cold. The only way is to take it out from the inner pocket, a quick check for position and back to the warm place either battery indicator shows 1% or dead at all. Even the Best External Battery Charger relatively little can help throughout the day. What to do and how to solve this issue? I hope that I found a good one for affordable price and it is Garmin Striker 4 Bbuilt-in GPS Fish Finder. I do not know what means „Bbuilt“ I guess it is just a mistake. After reading manufacturer’s data and descriptions, I always move to Amazon Customer Reviews and found that it is rewarded with almost five-star evaluation. This time let’s not talk about fishing from the boat option. I can only say that for the price this device is very good and hard to find a competitor. So, what am I looking for to help me in winter fishing? As I wrote above, I need GPS fishfinder which is durable, low temperatures resistant, convenient (small size and quick startup), low power consumption to not worrying stay without it. Maybe I forget something, but these are the main features for convenient ice fishing. I want to remind that smartphone in my deep inner warm pocket is just as an emergency device to make a help call or to check position by Google map if I get lost in a fog or snowstorm. 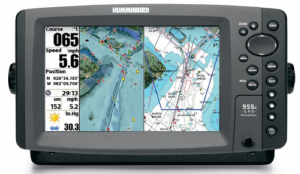 Does Garmin Striker 4 Bbuilt-in GPS fishfinder is what I really need? It has GPS receiver to mark holes, make trail or find fishing spots by geographical coordinates either my own from previous years times or given by friends. The accuracy of sat nav devices (GPS, GLONASS) is good enough to fulfill that task, especially if it is located in open sky areas like a lake, river or sea. Unfortunately, I read that Latitude and longitude information is not available on this unit, but you can show the GPS Lat/Lon data (I am not sure about it). If you go to the waypoint map screen, edit the ‘overlay numbers’, and you can edit one of the fields to ‘GPS Position’ – this will show the position you are at. So, just do homework in your warm office and insert your friends fishing spots before you go fishing. According to the Owner’s Manual the Temperature range is from -15° to 55°C (from 5° to 131°F). Not bad at all as in more lower air temperatures fishing is no longer cozy. As a confirmation, I found the one-star review on Amazon that it doesn’t work accurately below -14 C. I think that need to find a solution to protect the device from freezing winds and it is no so hard to DIY mounting on the sleds that I always carry for fishing tackle and ice drills. I found in my garage one spare battery from kids Fisher Price Power Wheels, hope it is still in good condition. Anyway, I hope that those batteries capacity must be enough for ice fishing day and if you stay for another day just recharge during the night either from wall jack or your car’s battery. 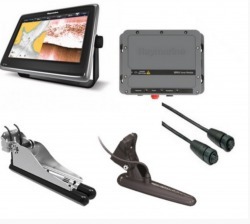 GARMIN STRIKER 4 provides you with both a fishfinder and flasher all in 1 unit. For ice fishing, the built-in flasher will show you the bottom, whether it is solid or muddy, your jig or weighted bait, and the depth of fish as they swim into the sonar beam. You can even watch how high your jig is being lifted and dropped and whether fish move toward or away from it. In conclusion and as the confirmation the right choice (I hope so) for my first ice fishing electronics here is the video I found. Definitely, there are other more powerful and with more features units on the market, but Garmin Striker 4 Bbuilt-in GPS Fish Finder is good enough for the first one. I like your review and completely agree with you when it comes to what is “really the best”? I am going to start ice fishing and I want to keep it economical to start. The Garmin Striker 4 Bbuilt-in GPS Fish Finder looks like the perfect match for cost and features for me. The 3.5 display is a little small but not a deal breaker for me. What is your favorite feature about the Garmin Striker 4 Bbuilt-in GPS Fish Finder? Thanks Chris for stopping by. As I mentioned in my post, a Garmin Striker 4 is not the top range GPS fishfinder, but for $100 it is really cool. You ask me to mention my favorite features. So, long battery life and a good picture is the first one that came to in my mind. Garmin is a very good name in the GPS electronics industry and also at a very good price. I have never used a GPS for ice fishing, but is a standard piece of fishing equipment on my boat. The screen is a little small but for certain applications I’m sure it could be adequate. Since I’m not an ice fisherman I had not idea about it’s limitations to cold weather, but it makes seance since it is battery powered. Recharge battery is needed as anything with video involved eats up the longevity of battery life. The price is very affordable for all it offers. A very good review. Hello Al and thank you for taking the time to comment! That’s important to me for getting thoughts from people who have similar passions. You said that you do not fish from the ice. In fact, it is really fun, and Alaska is paradise for ice fishing. Why not try? Tight lines. I thought it was cool you were able to use a spare battery from something else to extend the lifespan of the internal battery giving a better dwell time out fishing, Is updating really easy or is it something that really doesn’t need to be updated very often? When I buy gps products I always try to ensure that they have an auto update feature and i was wondering if fishing gear includes this as well. Hi, Dragon and thanks for stopping by. Really smart question regarding GPS device updates. We can talk about this topic for hours just in short for this Garmin Striker GPS fishfinder no updates feature available. Actually, it is not needed for given device, but it is a long list of Garmin Marine devices which comes with SD card software update features. Mainly it is for free downloads, but some, e.g., GPSMAP series comes for about $30. This is really cool. I love going fishing. My dad took me fishing all the time when I was young and I just fell in love with it. I don’t know about Ice fishing because I can’t stand the cold. This is exactly what I’m looking for. My friend has one of these and he knew exactly where the big money fishes would be. So I am definitely going to look into this. Great article, It really made my decision easier. Thanks Garrett for finding my article useful. I think that this inexpensive Garmin fishfinder really can help to catch big fish and fun as well. Sometimes you are walking around to find the good fishing spot for hours. Garmin Striker 4 is small device but a timesaver for sure. Thank you for your review Andrel. I appreciate that you made the clarification that there are better fish finders out there, but this one will work for most at a reasonable price. I ice fished only a couple times a year growing up in Michigan. I couldn’t see spending more than this on something that I’m not super into. This will certainly fit my needs. Thanks again. Hi, Ernest and thanks for stopping by. 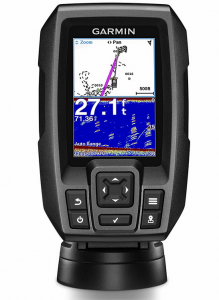 I guess that Garmin Striker 4 fishfinder is just another good tool to enjoy fishing in combination with GPS device. Definitely, you can do without it, but the chances of catching a bigger fish are increasing. The truth is that I did not know that ice fishing existed. But it has surprised me more than you use to find the fish a Garmin GPS, incredible. Alaska is a paradise for this type of fishing, I have watched your video, where you show all the features of the GPS. I want to congratulate you because today I learned something new from me. I have questions to ask you could you tell me an email from you? … Thank you very much! Hello to Alaska! I have never been there, but by me, it is a little similar to northern Finland and Sweden. My schoolmate lives in somewhere in Milwaukee woods but twice a year make fishing trips to Alaska. Once on a boat trip for halibut fish, other for ice fishing. I have to ask him about the gear, but I guess his company uses more expensive fishfinders for ice fishing. In any case, the Garmin Striker 4 doing just the basic features for ice fishing but in most cases, it is enough to enjoy fishing. You can find an e-mail in About me page. Why do so many electronic gadgets come without batteries though? It looks like once you’re through fumbling around digging a battery out from your couch cushions it is a really handy GPS device. Thanks Jason for taking time for the comment. A couple of days ago I was skiing. The temperature was about -20 C it’s about -4 F and I got a phone call. My two years old iPhone 6S plus drained out in two minutes. It just another time proves that if you wanna use a smart gadget like GPS or fishfinder the winter model has to be found. This year the winter was too cold and I became lazy to go out for shipping but for the past 2 years I have been using this Girmini striker 4 for ice fishing and so far I have not yet experienced any problem with it . The price is really affordable for the build quality and it’s not a device you will use for a year and get broken .Thanks for the detailed review . Hello and thanks for the comment. It is always good to hear such words. In this regard, I have a question, what was air ambient temperature when you ice fishing last years? Thanks. This was an interesting article about the Garmin Striker 4 device but I do have an important question. I am a semi-retired newspaper sports reporter and I have written articles about ice fishing safety. I don’t know about Latvia, but in the United States it can be risky going ice fishing in temperatures not that far below freezing. Pockets of thin ice can develop, especially when the sun is shining even if the temperature is below freezing. I have seen snow and ice melting in temperatures as low as 13 degrees F. My experience has been that ice is not really safe to walk on until the temperature drops below 10 degrees F. However, the Garmin Striker 4 doesn’t work well below about 5 degrees F, according to the article. Will this device work okay in temperatures near zero or below? Kindly let me know. This could be a valuable tool if it works at low temperatures. Thanks, Paul for stopping by and some useful data about ice fishing in the US. When it comes about safety on ice then mostly it depends on the common sense of each person. Although there are relatively strict rules in Latvia, when and where you can be on the ice. Regarding low temperatures, the main problem below -15C or 5F may cause failure of the LCD screen even if you somehow can extend the battery range. This is the main reason why producer set those limits. For example, Trail Tech Voyager GPS device for ATV and snowmobile trails have XFSTN (Extended Temperature Range) with operating temperature: -30°C to +75°C. So I guess that Garmin Striker 4 not for safe use under 5F. I think ice fishing sounds like a lot of fun. The part you described that doesn’t sound like fun is having to figure out where the fish are, drilling holes everywhere, using bait ( and coincidentally, wasting bait ) and waiting. Having a device such as a Garmin Striker 4 Bbuilt-in GPS Fish Finder is very practical and makes it easier to find that perfect spot. Since you already know and can see with your eyes on the GPS that there are indeed fish there, think about how much more cozy you can get in your spot. You can set up your camp, with all the extra equipment and luxury items because you know you are not going to have to pack it all up again when there isn’t any fish. Think about how much more fun and recreational ice fishing would be if you had such a device. I think I would have to get one or else there would be no point in ice fishing for me! Thank you for your lovely review and raising my awareness on a useful and practical product. Sophia, what a smart and practical comment you wrote! You know, sometimes it is really boring and annoying by finding fish under the ice then a proper fishfinder is a must-have device. Garmin Striker series is good almost in all aspects, lightweight, more or less power savers, etc. You know, for me ice fishing is not just to catch fish, I like to be on fresh air and do some hard work as well, like drilling the holes. I never used mechanical drills. When you’re totally tired, then find a fishing spot, rise a tent and relax. I’m planning to go fishing with some friends in Mexico. The place where we are going is definitely not as cold as I guess it will be Latvia or Estonia but if at least we will be very close to 0 degrees Celsius, and we had been commenting on the need to get a GPS to locate the best spots to fish so your publication It is handy at this time. Thank you. Hi Tommy. It sounds a bit funny about ice fishing in Mexico but who knows maybe even some mountain lakes can be covered with ice. It would sound pretty cool if told to ice fishing company that I am going to ice fishing trip in Mexico. Anyway, the Garmin Striker 4 Bbuilt-in GPS Fish Finder is good to use from a boat as well. Cool article. Personally, I use a Lowrance Endura with an old Lakemaster mini chip. I bought them both on Amazon and paid about $60 for each, maybe a little bit less for the GPS and it was brand spanking new. I have been relatively satisfied with it. Generally I have no idea what the chips and GPS are going for these days, so I found this to be pretty helpful to keep me in the loop.Thank you! Hi and thanks for stopping by. 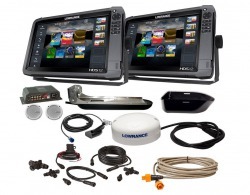 Why not Lowrance Endura? Great and simple handheld GPS for outdoor use. You even can download GPX trails for an off-road drive. 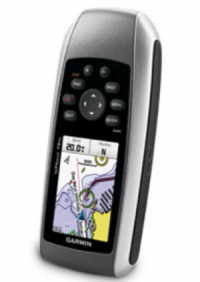 There, though, is a lack of fishfinder features which the GarminStriker 4 device has. I enjoyed your review of the Garmin GPS fish locator. Doing some Christmas shopping and have a fisher in the family. Wondering if she might enjoy this. Sometimes you don’t need a gadget with every single bell and whistle for it to do the job you need. 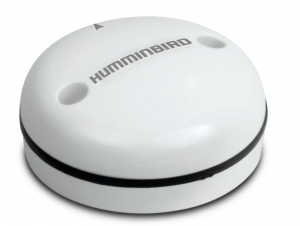 A simple GPS fish locator that finds the fish I would think, it is what someone needs when they go fishing! Don’t need it to bring along the kitchen sink. I’m going to think about this one and it might be making my Christmas shopping list for my family! Thanks for the review. Hello Lynne. You are absolutely right that you should not buy Hi-end gadget at once. The Garmin Strike 4 BBuit in GPS Fishfinder is a great and relatively inexpensive assistant, not just for ice fishing. It can be used for any vehicle or watercraft. Thank you for your review on the Garman Striker fish finder. Growing up in Michigan, I did a lot of lake fishing through out the year. I caught a lot of fish from the shore and on boats, and when the temperature dropped, I would go out on the ice and try my luck. I was not fortunate enough to have a Garman so that is probably why out of all of my times on the ice I only caught one small little blue gill. I don’t think that I would ever go ice fishing again without some kind of fish finder. Thanks for your review. Hello Micah! It is really important to know the bottom of the river or lake in ice fishing. With the Garmin Striker 4 Bbuilt fishfinder, we can also see the concentration of fish under ice and therefore do not waste any effort drilling additional holes. This Garmin Striker 4 Built-in GPS Fish Finder seems like a great choice for the price. If you only do this now and then, you don’t want to spend a fortune on a device that will just sit gathering dust for most of the year. I went Ice fishing once, but was so nervous to go out on the ice, as I was so afraid that it could crack under all our weight. Even though we were assured that it was safe. I got even more nervous when they started drilling through the ice. I never viewed fishing as an adrenaline sport, but after going ice fishing, I quickly changed my mind. In hindsight, I probably would have felt a lot safer had we had a device like this one to tell us how strong the ice that we were standing on was. Finding the fish would be another added benefit. Hello Michael. You are absolutely right that on the ice Safety First. I don’t support risks and taking adrenaline by walking on unsafe ice. I was a witness of the fact that hundreds of ice fisherman are drifting out to the open sea on a large piece of ice without even noticing it at first. Three port tugs and the helicopter was involved in rescue operation. Luckily all safe just some were forced to leave all fishing gear on the ice as chopper has limited loading weight. This is really interesting. Who knew finding fish you could run into so many obstacles. I didn’t know IPhone didn’t work in extreme cold conditions, I always thought they just overheated and stopped working. I can see how that could pose a problem when ice fishing. I admire the patience of anyone who can ice fish. Do you now anybody who has used it? Was it successful? Hello Diane. I’ve been fishing in Sweden many times. It’s a great thing to do. Winter fishing is a real pleasure. Mostly perch, pike and freshwater cod. It’s quite amazing what functions these GPS can contain these days, I always stumble across one that offers something new that I have not heard of before! I’m wondering how precise these sorts of GPS models are in locating the fish, is the sonar really that effective? If so this seems to be a bargain considering it’s in the $100 range! Hi Chris! Good question. 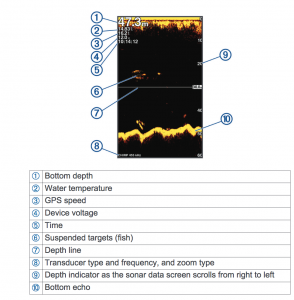 A fishfinder with better resolution and more accurate fish sizes can certainly be found. When you go to ice fishing, you usually don’t want to take the extra weight with you. Garmin Striker 4 has optimal size and normal sensitivity. After a couple of times, you will already have found as for right and effective in handling the device. Detailed write up and quite convincing review. Ice fishing sounds like a really good adventure for the winter season, never tried it before but I hope to try it with friend who are always going ice fishing, it should be fun. Getting the Germain striker 4 fish finder for the team is a goal for me. Its addition to our equipment will definitely increase our chances of catching more fishes. HELLO ZUCHII! You’re right, winter fishing can really be a pleasure. Garmin Striker 4 fishfinder can be a great assistant to find a good fishing spot.